Music is the essential element of any party. It can provide the soundtrack of an unforgettable evening, livening the dance floor for all to see. That’s why the original sound of Rudy and the Professionals is a necessity for every event, as they always guests with a night to remember, forever. Rudy and the Professionals are offering audiences around Cleveland and Youngstown, Ohio, the lively entertainment they deserve. 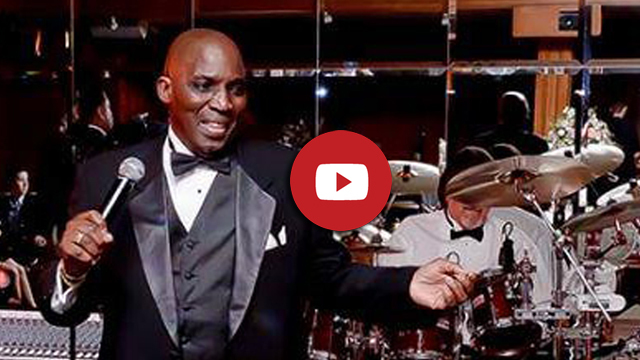 Whether performing at weddings, parties or corporate events, Rudy is ready to energize a room at a moment’s notice. Even more, his smooth vocals boast a resume of talent. From “Earth, Wind and Fire” to “Maroon 5” and “Bruno Mars” Rudy and the Professionals give you a variety of artists. His headlining performances at The Royal Oasis Casino in Freeport have left Rudy with the reputation of fun, energetic performances for everyone. As a Headliner from the Bahamas, Rudy can also give you that island vibe you’re looking for! Rudy was headliner and house band at The Royal Oasis Casino in Freeport, Bahamas where he entertained guests in the Tonic Lounge, and the Palm Pavilion Showroom. He has opened up for the “Platters”, “Earth Wind and Fire”, “Kool and the Gang”, and “Lee Greenwood”. He has been entertaining guests at several “native shows” on the islands of Nassau and Freeport Bahamas for several years. Rudy’s band played at the “Barracuda Lounge” at “Our Lucaya” resort on Lucayan Beach in Freeport Grand Bahamas. He has also performed at the “Bob Marley Club” in Universal Studios City Orlando, Florida and the Rock & Roll Hall of Fame!